Carta, J. J., & Miller Young, R. E. (2019). Multi-tiered systems of support (MTSS) for young children: A guide to RTI in early childhood. Baltimore, MD: Paul H. Brookes. Bigelow, K., Carta, J., Irvin, D., & Hemmeter, M. L. (In press). The Pyramid Infant-Toddler Observation System. Baltimore: Paul H. Brookes. Carta, J., & Miller Young, R. (Eds.) (in press). Multi-Tiered Systems of Support for Young Children: A Guide to Response to Intervention in Early Education. Baltimore: Paul H. Brookes. Greenwood , C. R., Walker, D., Buzhardt, J., Irvin, D., Schnitz, A. G., & Fan, J. (2018). Update on the the Early Movement Indicator (EMI) for infants and toddlers. Topics in Earlv Childhood Speecial Education, 38(2), 105-117. Schmidt Naylor, A., Kamps, D., & Wills, H. P. (2018). The effects of the CW-FIT group contingency on class-wide and individual behavior in an urban first grade classroom. Education and Treatment of Children, 41(1), 1-30. Swanson, M. R., Shen, M. D., Wolff, J. J., Boyd, B., Clements, M., Rehg, J., & Piven, J. (2018). Full day home language recordings reveal “hyper-vocalizing” in infants at high familial risk for autism. Child Development, 89(2), e60-e73. Carta, J. J. & Miller Young, R. (Eds.) (in press). Multi-tiered systems of support (MTSS) for young children: A guide to RTI in early childhood. Baltimore: Paul H. Brookes. Caldarella, P., Larsen, R., Williams, L., Wehby, J., Wills, H., & Kamps, D. (2017). Monitoring academic and social skills in elementary school: A psychometric evaluation of the Classroom Performance Survey. Journal of Positive Behavior Interventions, 19, 2, 78-89. Irvin, D.W., Bard, A., Wallisch, A., & Little, L.M. (2017, in press). Measuring social-communication in the community: Novel tools for advancing family participation. American Journal of Occupational Therapy. Boles M. B., Ganz, J. B., Hagan-Burke, S., Gregori, E., Neely, L., Mason, R. A., Zhang, D., and Willson, V. (2016). Quality review of single-case studies concerning employment skill interventions for individuals with developmental disabilities, Cadernos de educação, 53. Buzhardt, J., Rusinko, L.,Heitzman-Powell, L., Trevino-Maack, S., and McGrath, A. (2016). Exploratory Evaluation and Initial Adaptation of a Parent Training Program for Hispanic Families of Children with Autism, Family process, 55(1), 107-122. Caldarella, P., Williams, L., Jolstead, K. A., and Wills, H. P. (2016). Managing Student Behavior in an Elementary School Music Classroom A Study of Class-Wide Function-Related Intervention Teams, Applications of Research in Music Education, 35(3), 23-30. doi: 8755123315626229​. Camargo, S., Rispoli, M., Ganz, J., Hong, E., Davis, H., and Mason, R. (2016). Behaviorally Based Interventions for Teaching Social Interaction Skills to Children with ASD in Inclusive Settings: A Meta-analysis, Journal of Behavioral Education, 25(2), pp. 223-248. Carta, J. J., R. C. Greenwood, et al. (2016). Advances in Multi-tiered Systems of Support for Prekindergarten Children: Lessons Learned from 5 Years of Research and Development from the Center for Response to Intervention in Early Childhood. Handbook of Response to Intervention: The Science and Practice of Multi-Tiered Systems of Support. R. S. Jimerson, K. M. Burns and M. A. VanDerHeyden. Boston, MA, Springer US: 587-606. Carta, Judith J., McElhattan, Tracy E., and Guerrero, Gabriela. (2016). The Application of Response to Intervention to Young Children with Identified Disabilities. Handbook of Early Childhood Special Education. Brian Reichow, Brian A. Boyd, Erin E. Barton, and Samuel L.Odom. Boston, MA. Springer US: 163-178​. Clemons, L. L., Mason, B. A., Garrison-Kane, L. G., and Wills, H. P. (2016). Self-monitoring for high school students with disabilities: A cross-categorical investigation of I-Connect, Journal of Positive Behavior Interventions, 18, pp. 145-155. Carta, J., Kelley, Elizabeth S., Kong, Na Young, Atwater, Jane, Goldstein, Howard. (2016). "Systematic Replication of the Effects of a Supplementary, Technology-Assisted, Storybook Intervention for Preschool Children with Weak Vocabulary and Comprehension Skills." The Elementary School Journal 116(4): 574-599. Davis, J., Mason, B.A., Davis, H., Mason, R.A., and Crutchfield, Stephen A. (2016). Self-Monitoring Interventions for Students with ASD: a Meta-analysis of School-Based Research, Review Journal of Autism and Developmental Disorders, 3(3), pp. 196-208. Hong, E. R., Ganz, J. B., Mason, R.A., Morin, K., Davis, J. L., Ninci, J., Neely, L.C., Boles, M. B., and Gilliland, W. G. (2016). The effects of video modeling in teaching functional living skills to persons with ASD: A meta-analysis of single-case studies, Research in Developmental Disabilities, 57, pp. 158-169. Kamps, D. M., Heitzman-Powell, L., Rosenberg, N., Mason, R. A., and Schwartz, I. (2016). Effects of Reading Mastery as a small group intervention for young children with ASD. Journal of Developmental and Physical Disabilities, 23, pp. 703-722. Mason, Rose A., Davis, Heather S., Ayres, Kevin M., Davis, John L. and Mason, Benjamin A. (2016). Video Self-Modeling for Individuals with Disabilities: A Best-Evidence, Single Case Meta-Analysis, Journal of Developmental and Physical Disabilities, 28(4), pp. 623-642. Mason, R. A., Ganz, J. B., and Crutchfield, S. A. (2016). Social skill and social interaction supports and intervention methods. Educating Students with Autism Spectrum Disorders. D. Zager, M. Wehmeyer, and R. Simpson, New York: Pro-Ed, 121-138. Miller, T., & Thiemann-Bourque, K. (2016). Integrating Written Text and Graphic Cues Into Peer-Mediated Interventions: Effects on Reciprocal Social Communication Skills. Perspectives of the ASHA Special Interest Groups, 1(1), 20-28. Rosenbloom, R. K., Mason, R. A., Wills, H. P., and Mason, B. A. (2016). Technology delivered self-monitoring application to promote successful inclusion of an elementary student with autism. Assistive Technology, 28(1), pp. 9-16. Schmidt, C., Schmidt, M., Kamps, D., Thiemann-Bourque, K., & Mason, R. (2017). Pilot Investigation of Language Development of Children With Autism Receiving Peer Networks Intervention. Journal on Developmental Disabilities, 23(1), 3-17. Thiemann-Bourque, Kathy, Brady, Nancy, McGuff, Sara, Stump, Keenan, and Naylor, Amy. (2016). Picture Exchange Communication System and Pals: A Peer-Mediated Augmentative and Alternative Communication Intervention for Minimally Verbal Preschoolers With Autism, Journal of Speech, Language, and Hearing Research, pp. 1-13. Carta, J.J., Greenwood, C.R., Atwater, J., McConnell, S.R., Goldstein, H., and Kaminski, R.A. (2015). Identifying Preschool Children for Higher Tiers of Language and Early Literacy Instruction Within a Response to Intervention Framework, Journal of Early Intervention, 36(4), pp. 281-291. Guttentag, C. L., Landry, S. H., Baggett, K. M., Noria, C. W., Borkowski, J. G., Swank, P. R., . . . Ramey, S. L. (2015). "My Baby & Me": Effects of an early, comprehensive parenting intervention on at-risk mothers and their children. Developmental Psychology, 50, 1482-1496. Kamps, D., C. Conklin, & Wills, H. (2015). "Use of Self-Management with the CW-FIT Group Contingency Program." Education & Treatment of Children, 38(1): 1-32. Kamps, D., K. Thiemann-Bourque, Heitzman-Powell, L., Schwartz, I., Rosenberg, N., Mason, R., & Cox, S. (2015). "A Comprehensive Peer Network Intervention to Improve Social Communication of Children with Autism Spectrum Disorders: A Randomized Trial in Kindergarten and First Grade." Journal of Autism and Developmental Disorders, 45(6): 1809-1824. Rosenberg, N., Congdon, M., Schwartz, I., & Kamps, D. (2015). Use of Say-Do Correspondence Training to Increase Generalization of Social Interaction Skills at Recess for Children with Autism Spectrum Disorder. Education and Training in Autism and Developmental Disabilities, 50(2), 213-222. Sangwan, A., Hansen, J. H. L., Irvin, D. W., Crutchfield, S., & Greenwood, C. R. (2015, 9-12 Aug. 2015). Studying the relationship between physical and language environments of children: Who's speaking to whom and where? Paper presented at the Signal Processing and Signal Processing Education Workshop (SP/SPE), 2015 IEEE. Trevino-Maack, S. I., D. Kamps, et al. (2015). "A Group Contingency Plus Self-Management Intervention Targeting At-Risk Secondary Students’ Class-Work and Active Engagement." Remedial and Special Education 36(6): 347-360. Carta, J., Greenwood, C., Atwater, J., Mcconnell, S., Goldstein, H., & Kamenuii, E. (2014). Identifying Preschool Children for Higher Tiers of Language and Early Literacy Instruction Within a Response to Intervention Framework. Journal of Early Intervention, 36(4), 281-291. Greenwood, C., Carta, J., Goldstein, H., Kaminski, R., Mcconnell, S., & Atwater, J. (2014). 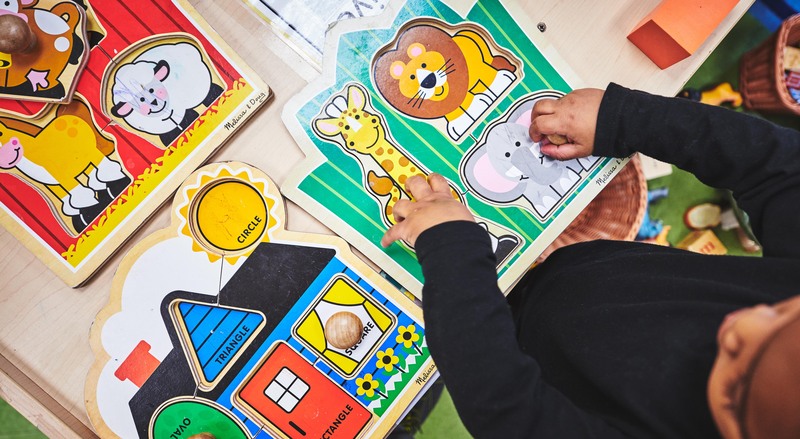 The Center for Response to Intervention in Early Childhood: Developing Evidence-Based Tols for a Multi-Tier Approach to Preschool Language and Early Literacy Instruction. Journal of Early Intervention, 36(4), 246-262. Hansen, B. D., Wills, H. P., & Kamps, D. M. (2014). Effects of Aligning Self-Management Interventions with Functional Behavioral Assessment. Education & Treatment of Children, 37(3), 393-406. Heitzman-Powell, L., Buzhardt, J., Rusinko, L., Turek, J., Miller, T. (2014). Formative Evaluation of an ABA Outreach Training Program for Parents of Children with Autism in Remote Areas. Focus on Autism and Other Developmental Disabilities, 29, 1, 23-138. Kamps, D., Mason, R., et al. (2014). "The Use of Peer Networks to Increase Communicative Acts of Students With Autism Spectrum Disorders." Focus on Autism and Other Developmental Disabilities, First Published Online on June 19, 2014. Kamps, D. M., Thiemann-Bourque, K., Heitzman-Powell, L., Schwartz, I., Rosenberg, N., Mason, R. A., and Cox, S. (2014). A comprehensive peer network intervention to improve social communication of children with autism spectrum disorders: A randomized trial in kindergarten and first grade, Journal of Autism and Development Disorders. Mason, R. A., D. Kamps, et al. (2014). "Peer mediation to increase communication and interaction at recess for students with autism spectrum disorders." Research in Autism Spectrum Disorders 8(3): 333-344. McFadden, B., Kamps, D., & Heitzman-Powell, L. (2014). Social communication effects of peer-mediated recess intervention for children with autism. Research in Autism Spectrum Disorders, 8(12), 1699-1712. Barker, R. M., Akaba, S., Brady, N., & Thiemann-Bourque, K. (2013). Support for AAC Use in Preschool, and Growth in Language Skills, for Young Children with Developmental Disabilities. Augmentative and Alternative Communication, 29(4), 334-346. Bigelow, K., Lefever, J. B., Carta, & J., Borkowski, J. (2013). Enhancing Parent Engagement and Program Completion in a Home Visiting Parenting Intervention;Through the Use of Cellular Phones. Dialog, 16(1), 165-170. Bowman-Perrott, L., Davis, H., Vannest, K., Williams, L., Greenwood, C., & Parker, R. (2013). Academic Benefits of Peer Tutoring: A Meta-Analytic Review of Single-Case Research. School Psychology Review, 42(1), 39-55. Brady, N., Thiemann-Bourque, K., Fleming, K., & Matthews, K. (2013). Predicting Language Outcomes for Children Learning Augmentative and Alternative Communication: Child and Environmental Factors. Journal of Speech,Language, and Hearing Research , 56, 1595-1612. Carta, J., Burke-Lefever, J., Bigelow, K., Borkowski, J., & Warren, S. (2013). Randomized Trial of a Cellular Phone-Enhanced Home Visitation Parenting Intervention. Pediatrics, 132(2), 167-173. Carta, J., & Greenwood, C. (2013). Promising Future Research Directions in Response to Intervention in Early Childhood. In V. Buysse E. S. & Peisner-Feinberg (Eds. ), Handbook of Response to Intervention in Early Childhood. 421-431). Baltimore, MD: Brookes. Greenwood, C., Carta, J., Atwater, J., Goldstein, H., Kaminski, R., & Mcconnell, S. (2013). Is a Response to Intervention (RTI) Approach to Preschool Language and Early Literacy Instruction Needed? . Topics Early Childhood Special Education, 33(1), 48-64. Greenwood, C., Walker, D., Buzhardt, J., Howard, W., & Anderson, R. (2013). Evidence of a Continuum in Foundational Expressive Communication Skills. Early Childhood Research Quarterly, 28, 540-554. Heitzman-Powell, L.S., Bessette, K.K., Wills, H.P., Koertner, J.M., & Rusinko, L. (2013). Assessing a modified functional analysis condition for removal of attention as an establishing operation in an escape functional analysis condition. Progress in Medical Science, 65-70. Heitzman-Powell, L., Buzhardt, J., Rusinko, L., Turek, J., & Miller, T. (2013). Formative Evaluation of an ABA Outreach Training Program for Parents of Children with Autism in Remote Areas. Focus on Autism and Other Developmental Disabilities, 28, 4, 1-16. Heitzman-Powell, L.S., White, R., Tafs, P., & Buzhardt, J. (2013). Towards a Technology of Supervision: Use of the OASIS model in the Delivery of Distance Supervision. Progress in Medical Science, 79-84. Lefever, J. B., Bigelow, K., Carta, J., & Borkowski, J. (2013). Prediction of Early Engagement and Completion of a Home Visitation Parenting Intervention for Preventing Child Maltreatment. Dialog, 16(1), 1-19. McConnell, S., & Greenwood, C. (2013). General Outcome Measures in Early Childhood and Individual Growth and Development Indicators. In V. Buysse E. S. Peisner-Feinberg (Eds. ), Handbook of Response to Intervention in Early Childhood (pp. 143-154). Baltimore, MD: Brookes. Peterson, C., Wall, S., Jeon, H. J., Swanson, M., Carta, J., Luze, G., & Eshbaugh, E. (2013). Identification of Disabilities and Service Receipt Among Preschool Children Living in Poverty. The Journal of Special Education 47(1), 28-40. Abbott, M., Kamp; & Wills, H. (2012). Improving the Upside-Down Response-to-Intervention Triangle With a Systematic, Effective Elementary School Reading Team.Preventing School Failure, 56, 37-46. Abbott, M., Wills, H. P., Miller, A. D., & Kauffman, J. (2012). The Relationship of Error Rate and Comprehension in Second and Third Grade Oral Reading Fluency. Reading Psychology, 33, 104-132. Brady, N., Fleming, K., Thiemann-Bourque, K., Olswang, L., Dowden, P., & Saunders, M. (2012). Development of the Communication Complexity Scale. American Journal of Speech Language Pathology, 21,16-28. Buzhardt, J., Walker, D., Greenwood, C., & Heitzman-Powell, L. (2012). Using Technology to Support Progress Monitoring and Data-based Intervention Decision Making in Early Childhood: Is There an App for That?, Focus on Exceptional Children, 44(8), 1-20. Carta, J., Greenwood, C., Baggett, K., Buzhardt, J., & Walker, D. (2012). Research-Based Approaches for Individualizing Caregiving and Educational Interventions for Infants and Toddlers in Poverty. In S. L. Odom, E. Pungello & N. Gardner-Neblett (Eds. ), Infants, Toddlers and Families in Poverty: Research Implications for Early Child Care (pp. 333-349). New York: Guilford. Colombo, J., Kannass, K. N., Walker, D., & Brez, C. C. (2012). The Development of Attention in Infancy and Early Childhood: Implications for Early Childhood and Early Intervention. In S. L. Odom, E. Pungello & N. Gardner-Neblett (Eds. ), Infants, Toddlers and Families in Poverty: Research Implications for Early Child Care (pp. 21-48). New York: Guilford. Goldstein, H., & Thiemann-Bourque, K. (2012). Come play with me: Teaching social skills to preschoolers with autism. The ASHA Leader. Heitzman-Powell, L. S., White, R., Tafs, P., & Buzhardt, J. (2012) Towards a Technology of Supervision: Use of the OASIS Model in the Delivery of Distance Supervision. Progress in Medical Science, 79-84. Thiemann-Bourque, K. (2012). Peer-mediated intervention. In F. R. Volkmar (Ed. ), Encyclopedia of Autism Spectrum Disorders. New York: Springer. Thiemann-Bourque, K., Brady, N., & Fleming, K. (2012). Symbolic play of preschoolers with severe communication impairments with autism and other developmental delays: More similarities than differences.Journal of Autism and Developmental Disorders, 42(5),863-873. doi: 10.1007/s10803-011-1317-7 . Abbott, M., Atwater, J., Lee, Y., & Edwards, L. (2011). A Data-Driven Preschool PD Model for Literacy and Oral Language Instruction. NHSA Dialog, 14(4), 229-245. Abbott, M., Greenwood, C., Buzhardt, J., Wills, H., & Terry, B. (2011). Peer-Mediated Approaches. In R. O'Connor & P. Vadasy (Eds. ), Handbook of Reading Interventions(pp. 279-299). New York: Guilford Press. Abbott, M., & Wills, H. P. (2011). Using reading teams to effectively manage urban core intervention implementation. Preventing School Failure, 56,36–46. Buzhardt, J., Greenwood, C., Walker, D., Anderson, R., Howard, W., & Carta, J. (2011). Effects of Web-Based Support on Early Head Start Home Visitors' Use of Evidence-Based Intervention Devision Making and Growth in Children's Expressive Communication. NHSA Dialog, 14(3), 121-142. Buzhardt, J., Walker, D., Greenwood, C., & Carta, J. (2011). A Study of an Online Tool to Support Evidence-Based Practices with Infants and Toddlers.NHSA Dialog, 14(3), 151-156. Carta, J., & Driscoll, C. T. (2011). Early literacy interventions for young children with special needs. In T. Shanaham & C. Lonigan (Eds. ), Literacy in preschool and kindergarten children: The National Early Literacy Panel and beyond. Baltimore: Brookes. Carta, J., Greenwood, C., Baggett, K., Buzhardt, J., & Walker, D. (2011). Research-based approaches for individualizing caregiving and educational interventions for infants and toddlers in poverty. In S. L. Odom & E. Pungello & N. Gardner-Neblett (Eds. ), Re-visioning the Beginning: The implications of developmental and health science for infant/toddler care and poverty. New York: Guilford Press. Greenwood, C., Bradfield, T., Kaminski, R., Linas, M., Carta, J., & Nylander, D. (2011). The Response to Intervention (RTI) Approach in Early Childhood. Focus on Exceptional Children, 43(9), 1-22. Greenwood, C., Buzhardt, J., Walker, D., Howard, W., & Anderson, R. (2011). Program-Level Influences on the Measurement of Early Communication for Infants and Toddlers in Head Start. Journal of Early Intervention, 33(2), 110-134. Greenwood, C., Carta, J., & Mcconnell, S. (2011). Advances in Measurement for Universal Screening and Individual Progress Monitoring of Young Children. Journal of Early Intervention, 33(254-67). Jeon, H. J., Peterson, C., Wall, S., Carta, J., Luze, G., Eshbaugh, E., & Swanson, M. (2011). Predicting school readiness at kindergarten entry for low-income children with additional disability risks before age 3. Exceptional Children, 77(4), 435-452. Kamps, D., Wills, H., Heitzman-Powell, L., Laylin, J., Szoke, C., Hobohm, T., & Culey, A. (2011). Class-wide function-based intervention teams: effects of group contingency programs in urban classrooms, Journal of Positive Behavior Interventions, pp. 1-14. Kong, N., & Carta, J. (2011). Research synthesis of studies on responsive interaction intervention for children with or at risk for developmental delays. Topics in Early Childhood Special Education. Linas, M. (2011). Integrated Technology for Culturally Competent Communication in Urban Schools In J. Aitken & J. Fairley & J. Carlson (Eds. ), Communication Technology for Students in Special Education and Gifted Programs (pp. 34-47): IGI Global. Neuman, S., & Carta, J. (2011). Advancing the measurement of quality for early childhood programs that support early language and literacy outcomes. In M. Zaslow & T. Halle & I. Martinez-Beck (Eds. ), Measuring quality in early childhood settings. Baltimore: Brookes. Parker, D., & Kamps, D. (2011). Effects of Task Analysis and Self-Monitoring for Children With Autism in Multiple Social Settings. Focus on Autism and Other Developmental Disabilities, 26(3), 131-142. Thiemann-Bourque, K., Brady, N., & Fleming, K. (2011). Symbolic Play of Preschoolers with Severe Communication Impairments with Autism and Other Developmental Delays: More Similarities than Differences. Journal of Autism and Developmental Disorders. Walker, D. (2011). Evidence-Based Practice in Early Childhood Intervention. In C. Groark & L. A. Kaczmarek (Eds. ), Early Childhood Intervention: Shaping the Future for Children with Special Needs and their Families (pp. 147-167). Santa Barbara, CA: Praeger. Watson, S., R., G., & Greenwood, C. (2011). Combining Ecobehavioral Assessment, Functional Assessment, and Response to Intervention to Promote More Effective Classroom Instruction. Remedial and Special Education, 32(4), 334-344. Abbott, M. (2010). Extended Word Study Spelling Instruction with Third Grade Students. Saarbrueken, Germany: Lambert Academic Publishing. Abbott, M, Wills, H., Greenwood, C. R., Kamps, D., Heitzman-Powell, L., & Selig, J. (2010). The combined effects of grade retention and targeted small-group intervention on students’ literacy outcome, Reading & Writing Quarterly, 26, pp. 4-25. Baggett, K. M., Davis, B., Feil, E. G., Sheeber, L. L., Landry, S. H., Carta, J., & Leve, C. (2010). Technologies for Expanding the Reach of Evidence-Based Interventions: Preliminary Results for Promoting Social-Emotional Development in Early Childhood. Topics in Early Childhood Special Education, 29(4), 226-238. Buzhardt, J., Greenwood, C., Walker, D., Carta, J., Terry, B., & Garrett, M. (2010). A Web-Based Tool to Support Data-Based Early Intervention Decision Making. Topics in Early Childhood Special Education, 29(4), 201-213. Carta, J., & Greenwood, C. (2010). New applications and considerations. In J. Carta & C. Greenwood & D. Walker & J. Buzhardt (Eds. ), Individual Growth and Developmental Indicators: Tools for monitoring progress and measuring growth in young children (pp. 203-208). Baltimore: Brookes. Carta, J., & Greenwood, C. (2010). The social IGDI: Early Social Indicator. In J. Carta & C. Greenwood & D. Walker & J. Buzhardt (Eds. ), Individual Growth and Developmental Indicators: Tools for monitoring progress and measuring growth in young children (pp. 91-108). Baltimore: Brookes. Carta, J., Greenwood, C., Walker, D., & Buzhardt, J. (2010). Using IGDIs: Tools for Monitoring Progress and Improving Intervention for Infants and Young Children (1 ed.). Baltimore: Brookes. Domian, E. W., Baggett, K., Carta, J., Mitchell, S., & Larson, E. (2010). Factors influencing mother’ abilities to engage in a comprehensive parenting intervention program. Public Health Nursing, 27(5), 399-407. Eshbaugh, E., Wall, S., Carta, J., Peterson, C., Swanson, M., Luze, G., & Jeon, H. J. (2010). Low-income parents’ warmth and parent-child activities for children with disabilities, suspected delays, and biological risks. Infant and Child Development. Fox, L., Carta, J., Strain, P., Dunlap, G., & Hemmeter, M. (2010). Response to Intervention and the Pyramid Model. Infants and Young Children, 23, 3-13. Greenwood, C., Seals, K., & Kamps, D. (2010). Peer Teaching Interventions for Multiple Levels of Support. In M. R. Shinn & H. M. Walker (Eds. ), Interventions for Achievement and Behavior Problems in a Three-Tier Model Including RTI (pp. 633-674). Bethesda, MD: NASP. Greenwood, C., Thiemann-Bourque, K., Walker, D., Buzhardt, J., & Gilkerson, J. (2010). Assessing Children's Home Language Environments Using Automatic Speech Recognition Technology. Communication Disorders Quarterly, 1-10. http://cdq.sagepub.com/content/early/2010/09/16/1525740110367826. Greenwood, C., Walker, D., & Buzhardt, J. (2010). The Early Communication Indicator (ECI) for Infants and Toddlers: Early Head Start Growth Norms from Two States. Journal of Early Intervention, 32(5), 310-334. Jeon, H. J., Clawson, C., Peterson, C., Luze, G., Carta, J., & Atwater, J. (2010). Children's Individual Experiences in Early Care and Education: Relations with Overall Classroom Quality and Children's School Readiness. Early Education and Development, 21(6), 912-939. Shumate, E. D., & Wills, H. (2010). Classroom-Based Functional Analysis and Intervention for Disruptive and Off-Task Behaviors. Education and Treatment of Children, 33(1), 23-48. Thiemann-Bourque, K. (2010). Instruction Using the Picture Exchange Communication System Appears to Enhance Generalization of Communication Skills Among Children with Autism in Comparison to Responsive Education and Prolinguistic Milieu Teaching. Evidence-Based Communication Assessment and Intervention, 4(4), 192-195. Thiemann-Bourque, K. (2010). Navigating the Transition to Middle School: Peer Network Programming for Students with Autism. The ASHA Leader, 15, 12-15. Watson, S. M. R., Gable, R. A., & Greenwood, C. (2010). Combining Ecobehavioral Assessment, Functional Assessment, and Response to Intervention to Promote More Effective Classroom Instruction. Remedial and Special Education. Wills, H., Kamps, D., Abbott, M., Bannister, H., & Kaufman, J. (2010). Classroom Observations and Effects of Reading Interventions for Students at Risk for Emotional and Behavioral Disorders. Behavioral Disorders, 35(2), 103-119. Wills, H., Kamps, D., Hansen, B. D., Conklin, C., Bellinger, S., Neaderhiser, J., & Nsubuga, B. (2010). The Class-Wide Function-Based Intervention Team (CW-FIT) Program. Preventing School Failure, 54, 164-171. Bigelow, K. M., Carta, J., & Lefever, J. B. (2009). Using cellular phone technology to enhance a parenting intervention for families at high risk for neglect. (vol 13, pg 362, 2008). Child Maltreatment, 14(1), 3-3. Bowman-Perrott, L. (2009). ClassWide Peer Tutoring: An Effective Strategy for Students with Emotion and Behavioral Disorders. Intervention in School and Clinic, 44(5), 259-267. Greenwood, C. (2009). Treatment Integrity: Revisiting Some Big Ideas. School Psychology Review, 38(4), 547-553. Bigelow, K. M., Carta, J. J., & Lefever, J. B. (2008). Using cellular phone technology to enhance a parenting intervention for families at risk for neglect. Child Maltreatment, 13(4), pp. 362-367. Franzen, K., & Kamps, D. (2008). Effects of school-wide positive behavior support strategies on an urban school playground. Journal of Positive Behavioral Interventions, 150-161. Kamps, D., Abbott, M., Greenwood, C., Wills, H., Veerkamp, M., & Kaufman, J. (2008). Effects of small-group reading instruction and curriculum differences for students most at risk in kindergarten two-year results for secondary- and tertiary-level interventions. Journal of Learning Disabilities, 41(2), pp. 101-114. Kamps, D., Greenwood, C., Arreaga-Mayer, C., Veerkamp, M., Utley, C., Tapia, Y., Bowman-Perrott, L., & Bannister, H. (2008). The efficacy of ClassWide Peer Tutoring in middle schools. Education and Treatment of Children, 31, 1-34. Greenwood, C. R., Horner, R. H., & Kratochwill, T. R. (2008). Background and rationale. In Charles R. Greenwood, Robert H. Horner, and Thomas R. Kratochwill, (Eds), Schoolwide Prevention Models, (pp. 3-30).New York: Guilford Press. Greenwood, Charles R. (2008). Social and academic achievement of children and youth in urban, high-poverty neighborhoods. In Susan B. Neuman (Eds), Educating the Other America, (pp. 113-136). Baltimore, MD: Brookes. Thorne, S., & Kamps, D. (2008). The effects of group contingency intervention on academic engagement and problem behavior of at-risk students, Behavior Analysis in Practice, 1(2). Walker, D., Bigelow, K. M., & Harjusola-Webb, S. (2008). Increasing communication and language-learning opportunities for infants and toddlers. Young Exceptional Children Monograph Series, (Series 10). Walker, D., Carta, J. J., Greenwood, C. R., & Buzhardt, J. (2008). The Use of Individual Growth and Developmental Indicators for Progress Monitoring and Intervention Decision Making in Early Education. Exceptionality, 16, 1, 33-47. Greenwood, C. R., Carta, J. J., Baggett, K., Buzhardt, J., Walker, D., & Terry, B. (2008). Best practices in integrating progress monitoring and response-to-intervention concepts into early childhood systems, Best Practices in School Psychology V, 32(2), pp. 535-547. Thiemann, K., & Warren, S. F. (2004). Programs supporting young children’s language development. In: Tremblay, R. E., Barr, R. G., & Peters, R. (Eds). Encyclopedia on Early Childhood Development [online]. Montreal, Quebec: Centre of Excellence for Early Childhood Development, 1-11. Available at http://www.child-encyclopedia.com/Pages/PDF/Thiemann-WarrenANGxp_rev.pdf. Skinner, J., Veerkamp, M., Kamps, D., & Andra, P. (2009). Teacher and Peer Participation in Functional Analysis and Intervention for a First Grade Student with Attention Deficit Hyperactivity Disorder. Education and Treatment of Children. Thiemann, K., & Kamps, D. (2007). Promoting Social Communication Competence of Children with Autism in Integrated Environments. R. Simpson and B. Smith Myles (eds. ), p. 267-298. Educating Children and youth with autism. Goldstein, H., Schneider, N., & Thiemann, K. (2007). Peer-mediated social communication intervention. Top Language Disorders 27, (2) pp. 182-199. Baldwin Veerkamp, M., Kamps D. M., & Cooper, L. (2007). The effects of classwide peer tutoring on the reading achievement of urban middle school students, Education and Treatment of Children, 30(2), pp. 21-51. Bowman-Perrott, Lisa J., Greenwood, C. R., & Tapia, Y. (2007). The efficacy of CWPT used in secondary alternative school classrooms with small teacher/pupil ratios and students with emotional and behavioral disorders. Education and Treatment of Children, 30(3), 65-87. Greenwood, C. R., Kamps, D., Terry, B., & Linebarger, D. (2007). Primary Intervention: A means of preventing special education? In C. Haager, J. Klingner, & S. Vaughn, (Eds.) (pp. 73-106). Validated Reading Practices for Three Tiers of Intervention. New York: Brookes. Kathy Thiemann and Debra Kamps (2007). Promoting social-communicative competence of children with autism in integrated Environments, (Eds.) In Richard L. Simpson and Brenda Smith Myles, Educating Children and Youth with Autism, pp. 267- 298. Austin, TX: Pro-Ed. Kamps, D., Abbott, M., Greenwood, C., Arreaga-Mayer, C., Wills, H., Longstaff, J., Culpepper, M., & Walton, C. (2007). Use of evidence-based, small-group reading instruction for english language learners in elementary grades: secondary-tier intervention. Learning Disability Quarterly, 30. pp. 153-168. Hashimoto, K., Utley, C., Greenwood, C. R., & Pitchlyn Carol I. (2007). The effects of modified classwide peer tutoring procedures on the generalization of spelling skills of urban third-grade elementary students, Learning Disabilities Journal, 5(2), 1-29. Buzhardt, J. Greenwood, C. R., Abbott, M., & Tapia, Y. (2007). The effects of modified classwide peer tutoring procedures on the generalization of spelling skills of urban third-grade elementary students, Learning Disabilities: A Contemporary Journal, 5(2), 75-96. Heitzman-Powell, Linda S., White, Rachel, & Perrin, Nanette L. (2007). Behavioral analysts and counseling: Why are we not there and how can we get there? International Journal of Behavioral Consultation and Therapy, (3) 4, pp. 571-587. Buzhardt, J., Greenwood, C. R., Abbott, M., & Tapia, Y. (2007). Scaling up classwide peer tutoring investigating barriers to wide-scale implementation from a distance, Learning Disabilities a Contemporary Journal, 5(2), pp. 75-96. Veerkamp, M. B., Kamps, D., & Cooper, L. (2007). The effects of classwide peer tutoring on the reading achievement of urban middle school students. Education and Treatment of Children, 30, 21-51. Bessette, K.K., & Wills, H.P. (2007). An Example of an Elementary School Paraprofessional-Implemented Functional Analysis and Interventions. Behavior Disorders 32(3), 192-211. Abbott, M., Greenwood, C. R., Buzhardt, J., & Tapia, Y. (2006). Using technology-based teacher support tools to scale up the ClassWide Peer Tutoring program. Reading and Writing Quarterly, 22, 47-64. Buzhardt, J., Greenwood, C. R., Abbott, M., & Tapia, Y. (2006). Research on scaling up effective instructional intervention practice: Developing a measure of the rate of implementation. Educational Technology Research and Development, 54(5), 467-492. Greenwood, C. R. (2006). The Juniper Gardens Children's Project. In R. L. Schiefelbusch & S. R. Schroeder (Eds. ), Doing science and doing good: A history of the Bureau of Child Research and the Schiefelbusch Institute for Life Span Studies at the University of Kansas. Baltimore: Brooks. Greenwood, C. R., & Buzhardt, J. (2006). Effects of Progress Monitoring Supported by National Web-based Technology on the Intervention Results of Infants and Toddlers with/without Disabilities Ages Birth to Three (H327A060051) Kansas City , KS : Juniper Gardens Children's Project, University of Kansas. Greenwood, C. R., Carta, J. J., Walker, D., Buzhardt, J., & Baggett, K. (2006). Individual Indicators of Growth and Development (IGDI): The Infant and Toddler. Website: http://www.igdi.ku.edu. Greenwood, C. R., Carta, J. J., Walker, D., Hughes, K., & Weathers, M. (2006). Preliminary investigations of the application of the Early Communication Indicator (ECI) for infants and toddlers. Journal of Early Intervention, 28(3), 178-196. Kamps, D., Wendland, M., & Culpepper, M. (2006). Active teacher participation in functional behavioral assessment for students with emotional and behavioral disorder risks in general education classrooms. Behavior Disorders, 31(2), 128-146. Raikes, H., Green, B. L., Atwater, J., Kisker, E., Constantine, J., & Chazen-Cohen, R. (2006). Involvement in early head start home visiting series: Demographic predictors and relations to child and parent outcomes. Early Childhood Research Quarterly, 21, 2-24. Obiakor, F. E., & Utley, C. A. (2006). Working with multicultural learners with cognitive disabilities. In F. E. Obiakor, et al. (Eds), Multicultural special education: Culturally responsive teaching (pp. 65-77). Columbus, OH: Pearson. Utley, C. A., & Salend, S. J. (2006). Working with multicultural learners with behavior problems. In F. E. Obiakor et al. (Eds. ), Multicultural special education: Culturally responsive teaching (pp. 87-109). Columbus, OH: Pearson. Greenwood, C. R. (2006). The juniper gardens children’s project. In Richard L. Schiefelbusch and Stephen R. Schroeder, Doing Science and Doing Good (Eds. ), pp.327-349. Baltimore, MD: Brookes. Hall, R. V., Schiefelbusch, R. L., Greenwood, C. R., & Hoyt, R. K. (2006). The juniper gardens children’s project. In Richard L. Schiefelbusch and Stephen R. Schroeder, Doing Science and Doing Good (Eds. ), pp. 125-139. Baltimore, MD: Brookes. Greenwood, C. R., Walker, D., Carta, J. J., & Higgins S. K. (2006). Developing a general outcome measure of growth in the cognitive abilities of children 1 to 4 years old: The early problem-solving Indicator. School Psychology Review, 35(4), 535-551.